A second video followed, this time getting inside BB-8’s head. In addition to the obligatory array of blinking LEDs, it houses the speaker, an array of microphones for voice control interactivity, and multiple infrared emitter + receivers to implement the “follow me” functionality. Some of the less visible implementation details were not covered. What is the division of labor between the circuit board in the head versus its counterpart in the body? There seems to be small antenna for the two parts to communicate. What do they say to each other, and how secure is that link? Until we find answers, this overview is sufficient for those who are less interested in hacking the default electronics and more interested in replacing them entirely. It used to be you had to build your own BB-8 from scratch. 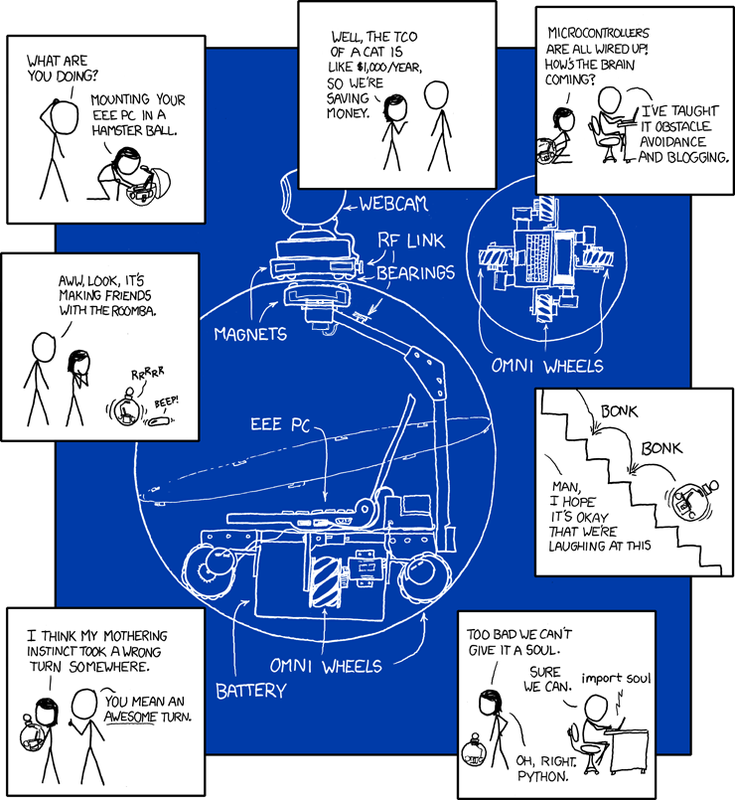 There’s more than one way to accomplish this ball-style of robot and [Steven]’s summary of his journey starting from surveying different ways to move BB-8 to his encounter with people’s emotional reactions to a little ball robot covers most of that ground. I find that http://bb8builders.club/ is a great place for BB series droid information. That looks a lot like the more popular style of drive systems that are used in the 1:1 replicas. “By now we’ve come to expect a bountiful harvest of licensed merchandise to follow every Star Wars film. It was done waaaaay before that even. There was a radio controlled ball out in the 80’s. It worked on the same principle. The little 4-year old kid inside me says that everything’s there to start hacking. Doesn’t matter much how much you damage everything during deconstruction, unless you don’t have the money to throw the pieces away and just buy a new one afterwards. But personally, I enjoy deconstructing as much as putting it back together and finding that it still works flawlessly. Or even better than before. Well, I guess there are just different kinds of hackers.